that is nice, I will definitely try it when I have time. but may I know what kind of clay pot do you use? I used CorningWare, coz the traditional one I have is too small for cooking this dish. I see, do you know where i can buy it? I live in Melbourne. I know most of them are oven safe, but I am not sure if they are safe on the stove. I really want to get a good one for my cooking. I don't know where to buy it in Melbourne because I live in Brisbane. I checked out this site, I can order it online. Thanks! by the way, saw your new recipe on facebook, can share me how to do it? The recipe will come soon. Stay tuned. im also living in brisbane. 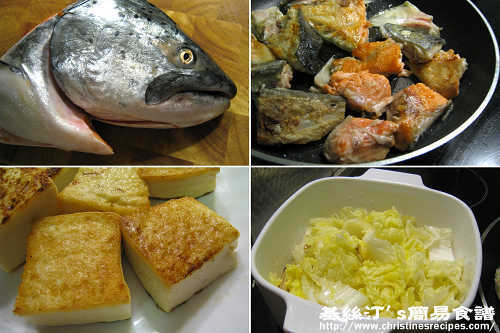 im always looking for salmon head (+coz its cheap and yum)(+2 im a student)for cook coz i often eat fish in hk. 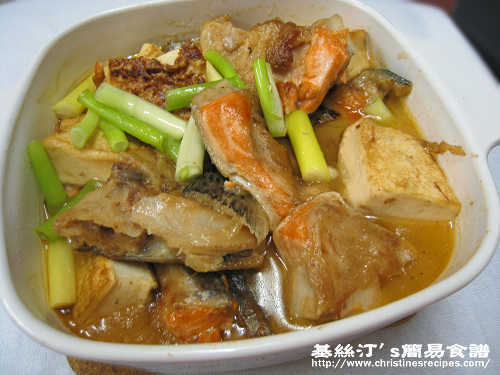 i wanna to know which fish market do u usually visit moreover usually have salmon head for sale? china town?or sunny bank?or others? 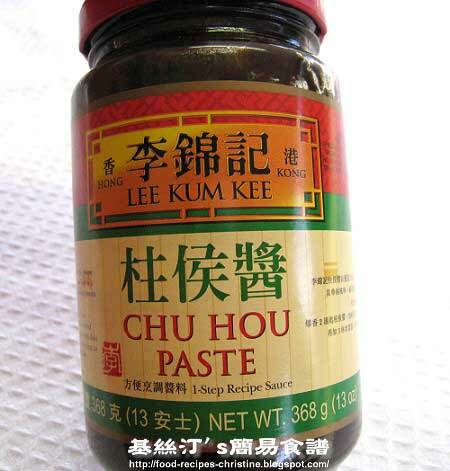 Check out at 袁氏 (Market Square), and Coles (Sunnybank)sometimes has stock too.